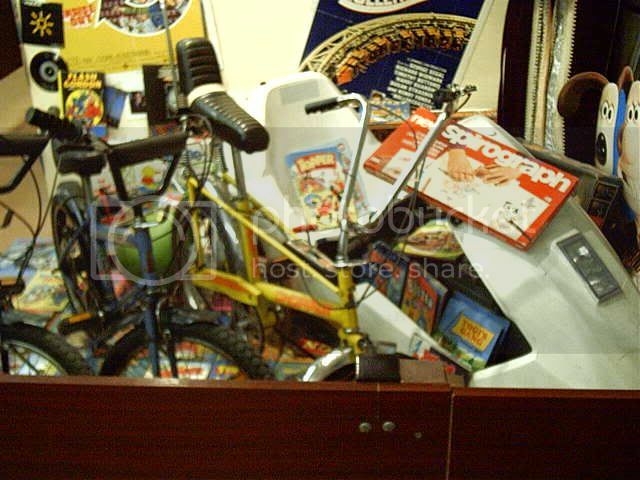 I went to the Toy Museum at Stanstead the other day, look what i found hiding in a display, tucked away in the corner. 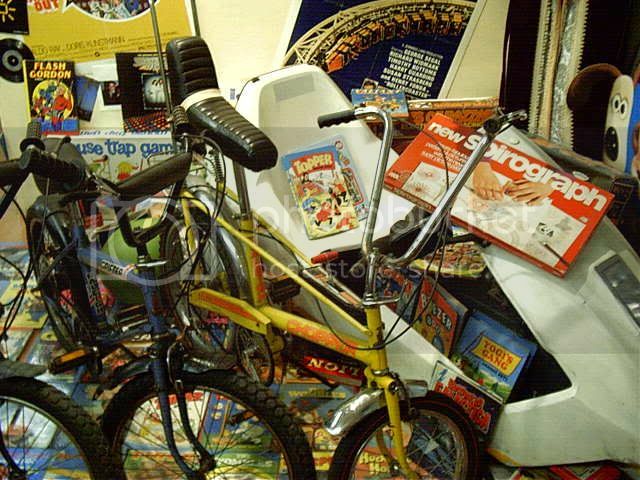 I love retro displays like that, brings back lots of good memories. That C5 looks like it's seen far better days though! Heres a link to the museum site. There is stuff in there i had forgotten all about. 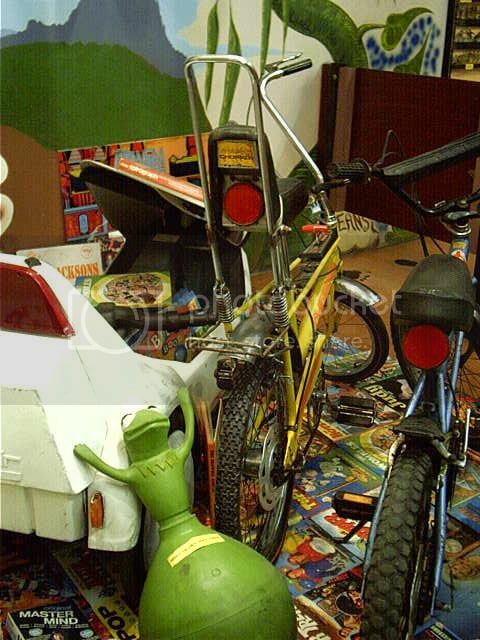 That C5 needs some TLC, it was looking a bit sad there buried under all that other stuff. 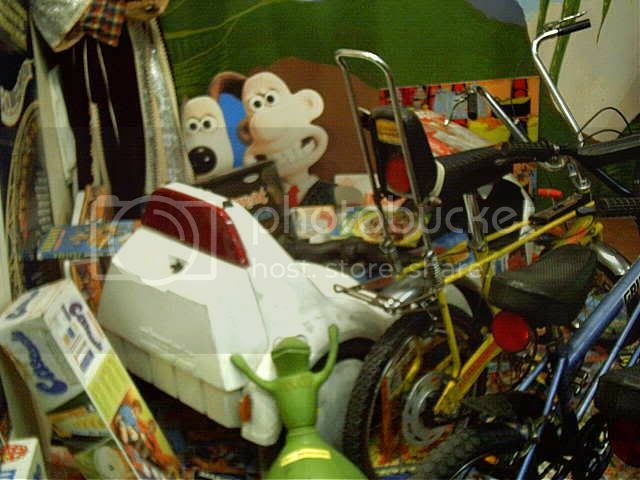 Yeah, sometimes you see C5s crop up on ebay which are suffering from the same problem as this one - where they look like they've been stored badly for a long period of time causing the front fairing to be bent downwards. I assume this can be corrected by forcing it back the other way and applying heat but fortunately it's not a problem I've had to tackle! 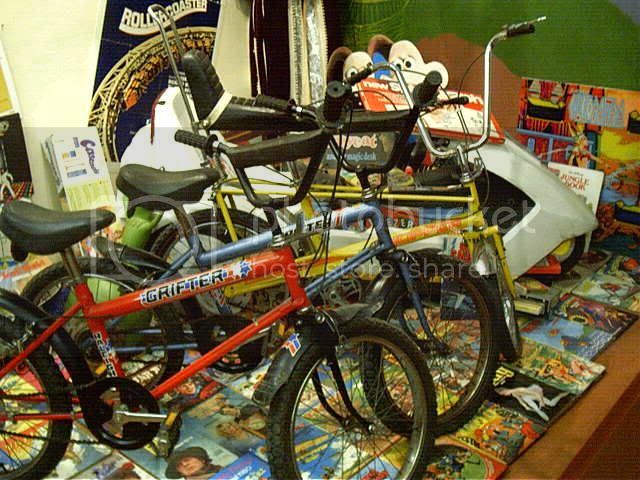 Never mind the C5 with the missed placed indicator, is that a mk2 Raleigh Chopper & two Grifters next to it. 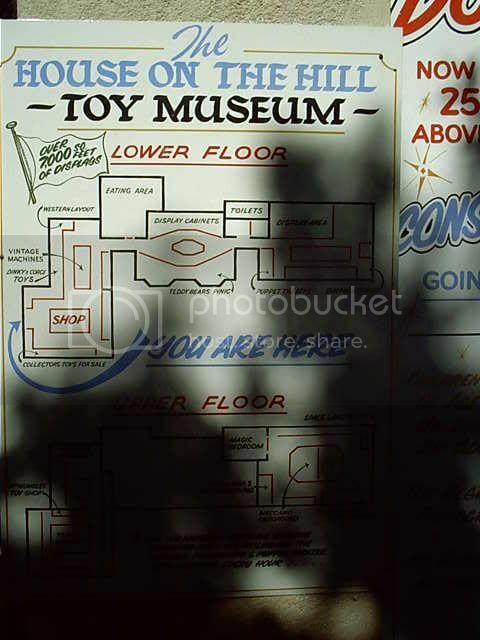 That is a toy museum? As it looks like from here these are just pictures of my childrens room! Sorry for being off-topic here, but ScubaChris, I have a question for you. Did they have knowledge of Lightyears 500 B.C. in China? "(extended 13 orders of magnitude)"